I have a garden full of spinach and it´s growing so fast that I need to find more spinach recipes. Soon my potatoes in the garden will be ready as well. 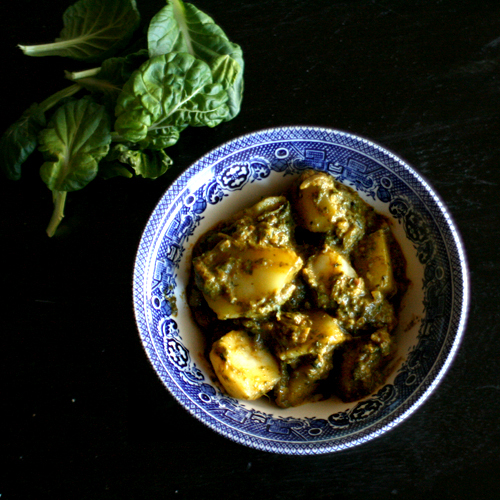 I found a recipe for Aloo Palak and used it as an inspiration for this dish. 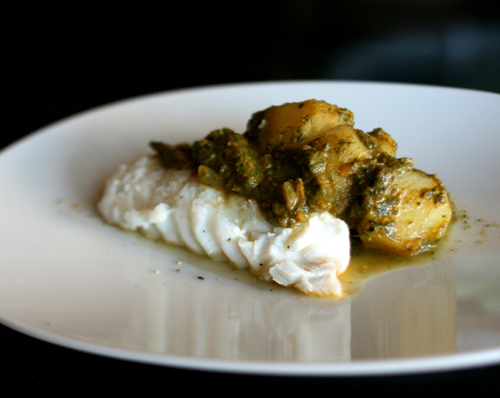 If you have a garden full of spinach and potatoes you need to use, then this recipe is perfect. Wash the spinach and heat it on a pan with little bit of water. Mix it in a blender. Set a side. Brown onion on a pan with little butter and garlic. Add the spices, then finely chopped tomatoes and sugar. Add the spinach, splash of milk and stir. Add potatoes, salt and pepper if you like. Ready to eat, I served mine with cod. 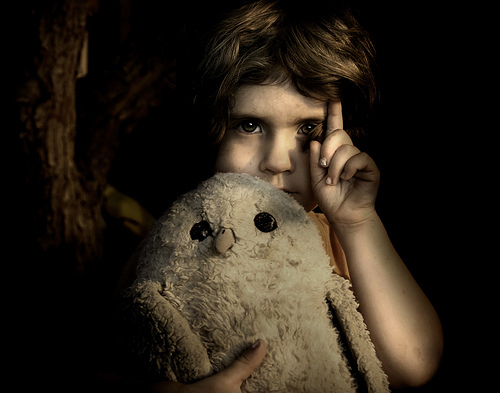 This is one of my favorite photo, called Sierra. It wasn´t planned or posed, It was more of a snapshot. The light outside was beautiful and a great contrast in shadows because of the trees in the yard. That looks amazing. I do love spinach so, so much! One of my favourite ingredients. That’s an amazing photo by the way!